Utilizing your business’s storefront has never been easier. Turn plain, empty windows into an innovative platform for engaging potential customers. 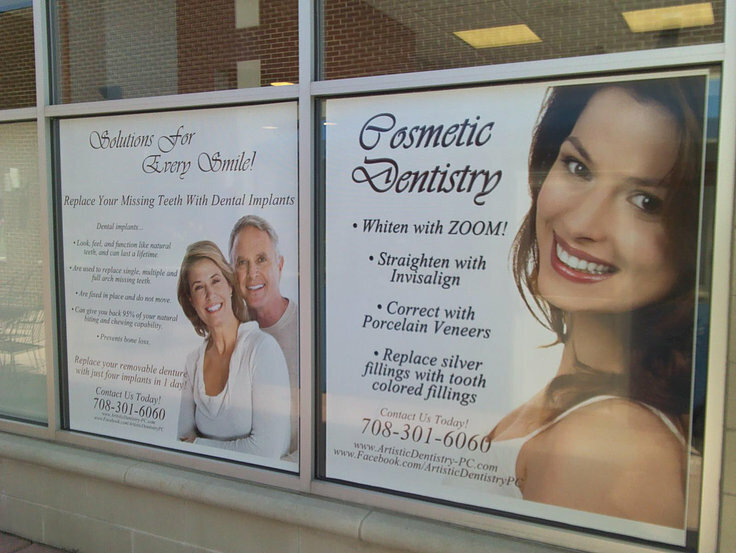 Window decals and window graphics are an eye-catching way of displaying advertisements, message boards and more. 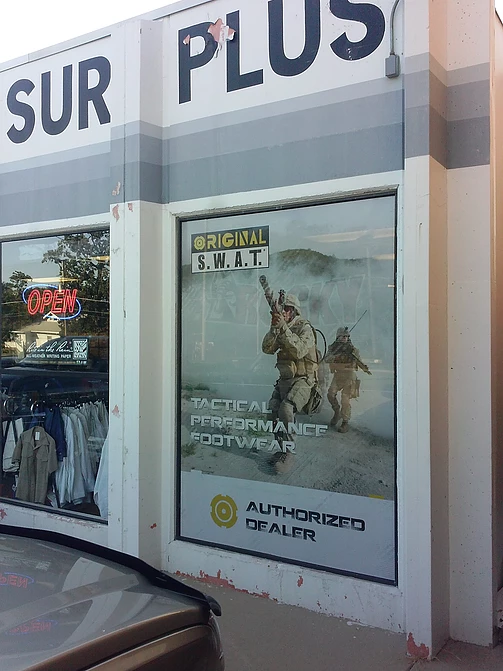 No matter what industry you’re in, our window decals can help you maximize sales and increase your sales. 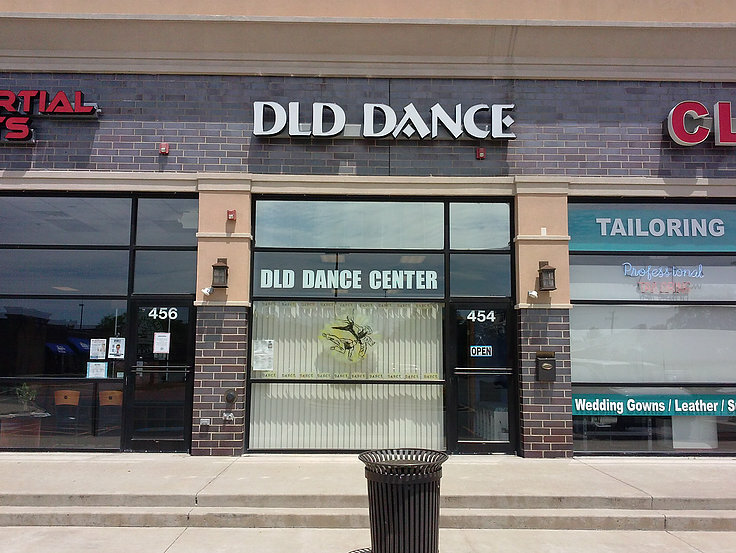 Window decals attract a variety of customers, whether they are driving by, sitting in traffic, or walking by; take advantage of this visibility by creating a welcoming and bright first impression of your storefront. No matter how large or small your operation is, utilizing empty window space is a great investment. Common window decals are promotional messages, lists of products or events, or informational advertisements on upcoming events and sales. At E-Z Sign Company, we utilize quality materials and offer hundreds of color and style options. In addition to those options, we also offer varied kinds of window decals, each with distinct purposes. Semi-transparent window signage is see through, whereas one-way window vinyl deflects sunlight. Full block-out window signage prevents the ability of seeing through windows; this is a great option for those who want privacy, but don’t want plain, black window tints. We also offer window frosting which is great for adding some privacy. We produce a variety of sizes of business window decals for interior and exterior applications. 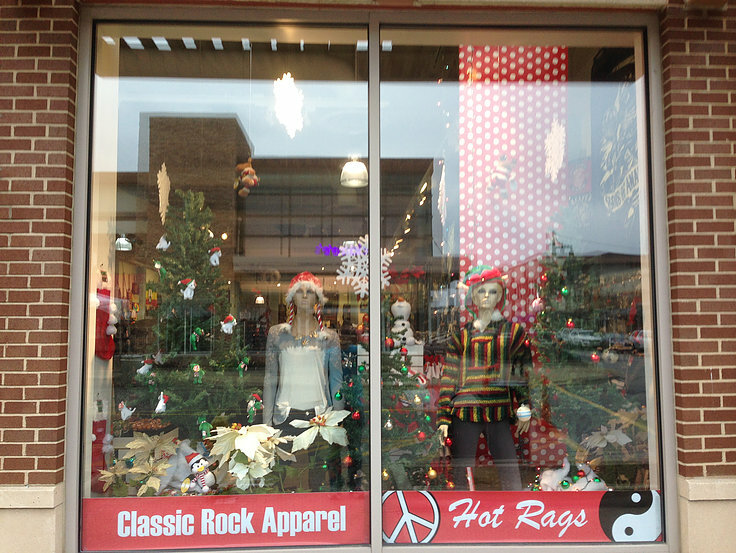 Our window graphics are one-sided or double-sided. Our custom vinyl decals are designed for exterior durability. These can be used at retail outlets, convention centers, sporting venues, restaurants and vehicle windows. They are opaque from the outside, but allow visibility from the inside. Make a huge impression for a low cost. 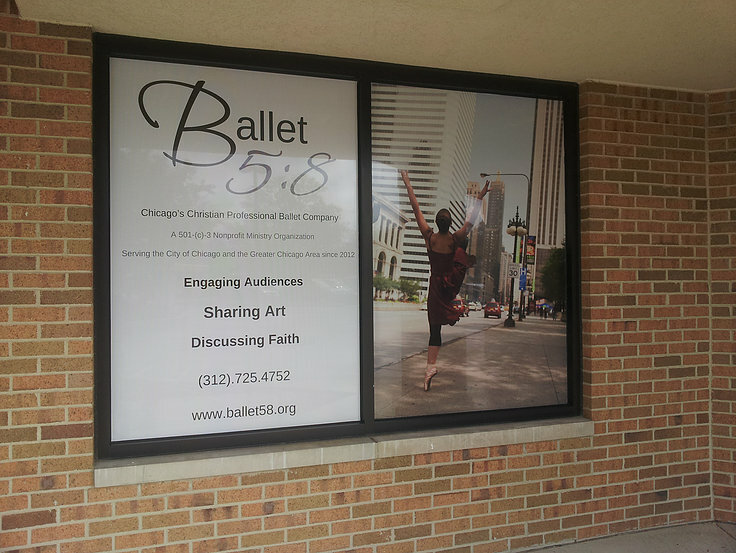 Our custom vinyl window designs can be used for any type of retail store, medical office, or school. Promote your company or services with these simple, low cost, installed signs.